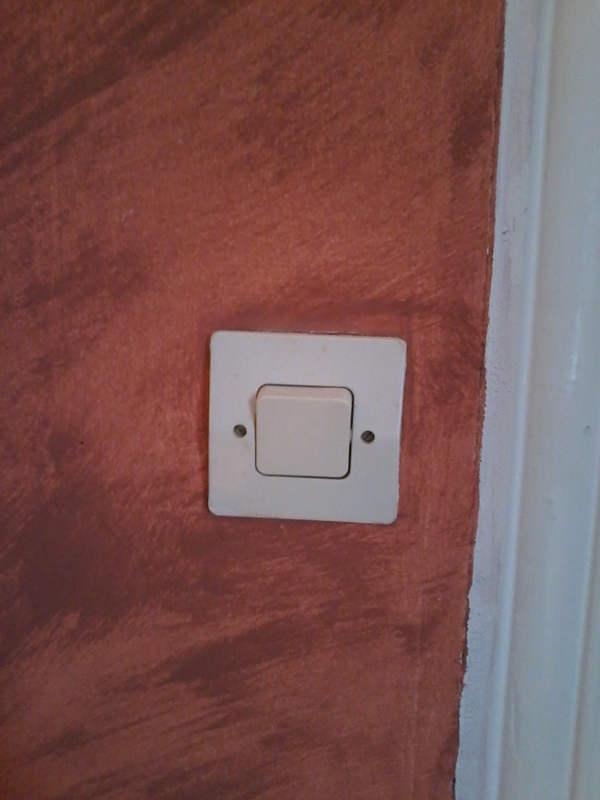 Also the light switches here are different. you still just switch them up or down, but they are bigger. 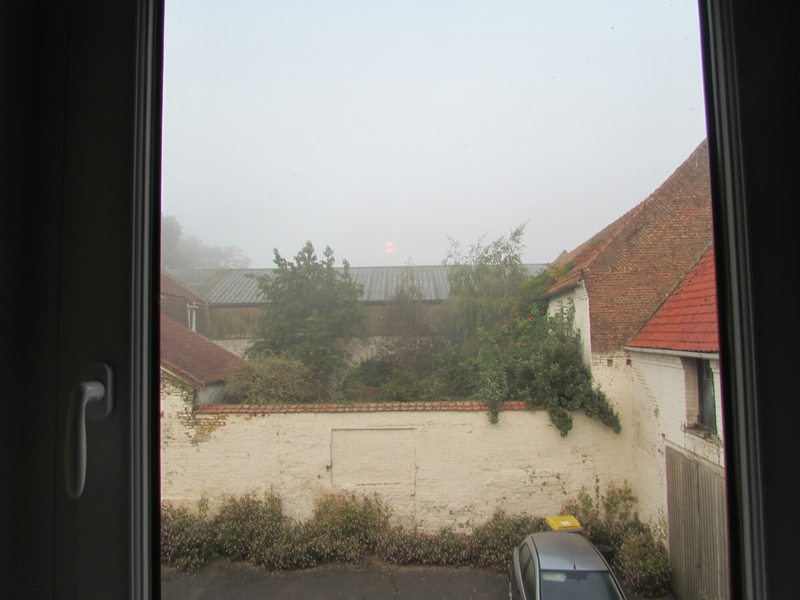 The other day when it was foggy I took this picture through the window, which doesn’t have a screen none of the windows do. Could just be my host family though, not sure. 21 Sep	This entry was published on September 21, 2014 at 5:59 pm and is filed under Uncategorized. Bookmark the permalink. Follow any comments here with the RSS feed for this post. Tes photos et tes observations sont formidables! Tu me manque. Amuse-toi! Merci beaucoup….I think haha. Still learning but glad that you like the blog, I miss you as well…the classrooms here are nice but I miss the S.I room. Hope all is well!